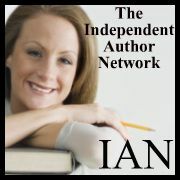 PRLog (Press Release) – Mar 26, 2011 – Palm Coast, FL— Sirius Press, Inc. announces a price reduction in the eBook Energetics: The First Order—the first book in the new Science Fiction Thriller series The Four Orders of Inherent Freedom, by authors Daniel Ward and Terre Britton. “Our main reason for lowering the price of ‘Energetics’ to $3.99 is because we want everyone to read our book. As much as ‘Energetics‘ is a fiction, we believe that the information in the book is vital to future global decisions,” Ward says. Encouraged by the recent publicity surrounding Amanda Hocking—the ‘Mega Bestselling Indie Heroine,’ as heralded by the Huffington Post, (http://www.huffingtonpost.com/tonya-plank/meet-mega-bestselling-ind_b_804685.html) and combining that with the latest Kindle sales survey (http://survey.constantcontact.com/survey/a07e3akjmwxgj44hypt/results), online research and conversations with other authors, Ward and Britton decided to reach for a wider reader base by reducing their eBook price. Two New 5-Star Reviews on Amazon.com!